Captain James T. Kirk carried out a dangerous mission to capture a cloaking device from the Romulan Star Empire. Months later, while investigating a mysterious disaster aboard a Federation starship, Kirk discovers that the same technology he obtained for the sake of peace is being put to sinister purposes. 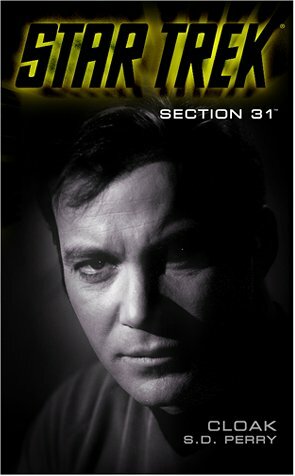 The first of the Section 31 novels was read as the organisation was mentioned in the TV show Star Trek: Discovery (ep 2.03). The plot doesn’t really involve section 31. rather it is about Kirk chasing after scientists researching a new material, believed to be a new energy source. There are a number of scientific problems with the story. First, why attempt some new technology when the matter/ant-matter reaction exists. Surely the most efficient method of producing energy. Second, the story starts with the Enterprise catching and pulling another Star-ship out of an accelerating warp speed. The author doesn’t appear to have basic knowledge of warp technology, and seems to think it is like a train (or an object at sub-light-speed accelerating). It is mentioned that they should match speed, which is impossible as both vessels are “accelerating”. Anyway, warp drives operate by manipulating the space-time around a vessel. How another object, let alone a Space-ship could enter this zone is not established science in the Star Trek universe. And finally, the scientists that undertake the highly dangerous experiment at the end are not that scientific. Firstly, they clearly are not doing the experiment at a small scale to determine if the physics is real. An secondly, the notion that they could be reasoned with by another scientist is dismissed. This the the whole plot of a ‘Travelers’ episode. In the episode, a scientist is brought back from the future to explain to a scientist that their theory for a new energy source is flawed and will create a devastating explosion. After taking the scientist through the mathematics and showing the problems, the project is abandoned. Another example of not very good science in science fiction.